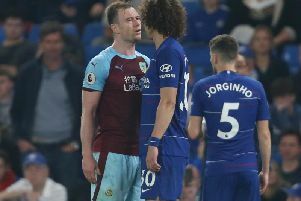 The Clarets have had two weeks to dissect their 3-2 home defeat to Crystal Palace and they may still be shaking their heads as they travel to the Stadium of Light this weekend for a vital Premier League clash. With Hull City entertaining Newcastle United in the early kick-off, Burnley could be back in the relegation places at 3 p.m., and defeat will be a bitter pill to swallow for the losers. The Black Cats are 6/5 favourites at BetVictor with the draw 23/10 and a Clarets win 14/5. The reverse fixture finished goalless at Turf Moor back in September and another 0-0 draw is 15/2, although I think a 1-1 draw is overpriced and the correct call at 8/1. Jermain Defoe is likely to make his home debut for the hosts and is 5/1 to score the opening goal, with Danny Ings 6s and 11/5 to find the back of the net at any time. Burnley remain 11/8 to stay up at the end of the season and 8/13 to lose their Premier League status this season, with Sunderland 3/1 for the drop; a Burnley win and those odds will turned on its head. With QPR playing at Stoke City, Leicester City travelling to Old Trafford, Aston Villa to Arsenal and Everton going head-to-head with a rejuvenated Palace, this is a big weekend in the Premier League. A win for Sean Dyche’s side at the Stadium Of Light could go a long way to maintaining their status.